We are a UK-based software developer with over 30 years’ experience in the industry, developing software solutions for commercial businesses across a wide range of market sectors, both at home and overseas. Since 2009, Templa has focused on developing a fully integrated contract management system for the contract cleaning industry. 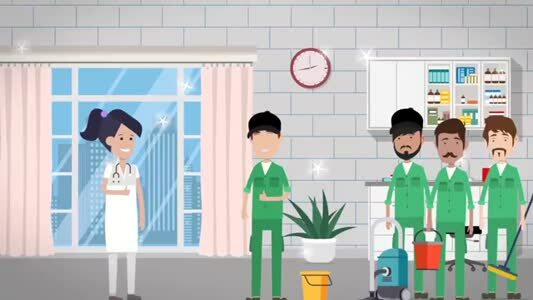 In conjunction with leading cleaning contractors, whose particular challenges had previously been poorly catered for by off-the-shelf business software, we have developed and continue to develop TemplaCMS, now the leading solution in its field. Since its launch in 2010, our growing client base of leading contractors in both the UK and Australia have transformed the financial efficiency of their back-office systems and increased the effectiveness of their front line operations by making the software available to their operations managers on their mobile devices. They have discarded their unconnected legacy systems and now manage their contracts using our integrated system of business process modules that all run off a secure, centrally managed single contract database. TemplaCMS contract cleaning software is designed using the latest Microsoft © technology. It is suitable for companies of all sizes wishing to establish a solid software-driven foundation for their business, one that will be with them for many years to come, and that will continue to evolve with the emerging technologies and the evolving requirements of the contract cleaning industry. The overall system and some of the key modules are described below in more detail. Unlock the profit potential of your company by using IT to automate and speed up every day processes. Release your field management to look after staff and customers, rather than waste time on administration. TemplaCMS helps you budget, gives you clear visibility of expenditure, supports your operations and sales teams in their roles and reassures clients that you are serious about customer service. TemplaCMS Workflow is fully integrated across all modules in the system. It allows configuration and automation of decision and approval processes that are normally paper or e-mail based. Live e-timesheets allow your area managers to view up to date pay data in real time. ‘Budget versus actual’ analysis takes place before the payroll is run, preventing costly mistakes being made. With the Templa CMS Quality Audit module you remove the administrative burden so often associated with paper-based quality auditing. This module lets you centrally create the inspection requirements for each site which are then disseminated automatically to operations field staff for task completion. With key TemplaCMS functionality loaded to their tablets, field managers can carry out operational and administrative contract-related tasks in the field whilst with staff or with clients. The TemplaCMS Customer Portal module allows you to deliver information and selective data entry functionality out to your client via the internet through a password controlled client log-in screen on your website. With TemplaCMS Standard 2-Way Time and Attendance Integration, TemplaCMS integrates with a full range of on-site T&A hardware technologies from bio-metric and one-time-password devices, through to a mobile app or SIM and client phones. Templa T&A by CleanJack integrates CleanJack®, Europe’s most popular T&A system with TemplaCMS, the UK’s market leading contract management software. Templa Computer Systems will be showcasing various new features from its TemplaCMS Integrated Contract Management Software at the London Excel Cleaning Show in 2019, each addressing a real challenge faced by cleaning contractors. In 2018, a combination of three things: new legislation - the General Data Protection Regulation (GDPR); more stringent requirements of the new ISO 9001:2015 standard, and a growing focus on employee management and monitoring, means that the use of data and technology will become increasingly important in contract cleaning. Rick Stoor, MD of Templa Computer Systems, offers an insight into the ways business management software will help address these challenges.